Established in 1998, the UNESCO Office in Kathmandu celebrates its 20th anniversary this year. On the occasion, UNESCO organised an event at Hotel Yak and Yeti on Wednesday, 28 March. The event aimed at sharing some of UNESCO’s major achievements fromthe last twenty years in the presence of various UNESCO partners including government officials, United Nations representatives,diplomatic missions, the media and civil society. Startingout as a one-manoffice in a hotel room, the Office has grown to a team of over 30 staff today. 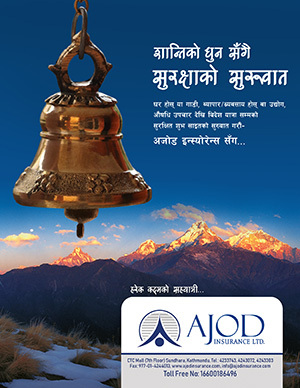 The Office contributes to fostering peace, reducing poverty, and promoting sustainable development and intercultural dialogue in Nepal bystrengthening government policies and programmes related to education, the sciences, culture, and communication and information. Quality “Education for All” (EFA) is one of the Office’s main objectives, with a special focus on gender equality and adult literacy. As a result of UNESCO’s advocacy, the National Planning Commission reiterated Nepal’s commitment to achieving EFA goals in its tenth Five-Year Plan (2002-2007), and set targets accordingly. UNESCO also helped to establish the Education Management Information System at the Department of Education and at the Non-Formal Education Centre to support evidence-based decision-making, planning and the delivery of formal and non-formal education. The Officeworked to strengthen the capacity of stakeholders to provide literacy and lifelong learning opportunitiesfor all, in the context of Nepal’s commitment to achieving Sustainable Development Goal 4 and the Education 2030 agenda. In the culture sector, the Office provided its support to preserve, conserve and safeguard Nepal’s rich cultural heritage, both tangible and intangible, through the promotion of cultural diversity and dialogue between diverse communities. The Office has taken the lead in safeguarding the four World Heritage Sites in Nepal. This includesrehabilitation of the monument zones in the Kathmandu Valley,which were severely damaged by the 2015 earthquakes; preservation of Lumbini, the birthplace of Lord Buddha, as well as its surrounding Buddhist sites; and assisting the competent authorities in mitigating the challenges faced by the two Natural World Heritage Sites of Chitwan and Sagarmatha National Parks. UNESCO has also overseen the conservation of the three most emblematic artefacts in Lumbini, namely the Marker Stone, the Nativity Sculpture and the Ashoka Pillar. Furthermore, excavationsinthe Sacred Garden, particularly at the Mayadevi Temple, have revealed evidence of structures dating back to lifetime of Lord Buddha in 6th century BCE. In the natural sciences, the office successfully advocated for the reinstatement of the Man and Biosphere Programme in 2015, which had been inactive since 2006. In the communication and information sector, the Office promotes freedom of expression and peoples’ right of access to information by building the capacity of journalists, community media actors and human rights activists.The commitment of the Office to the safety of journalists and freedom of the press has established it as the leading actor for media development. 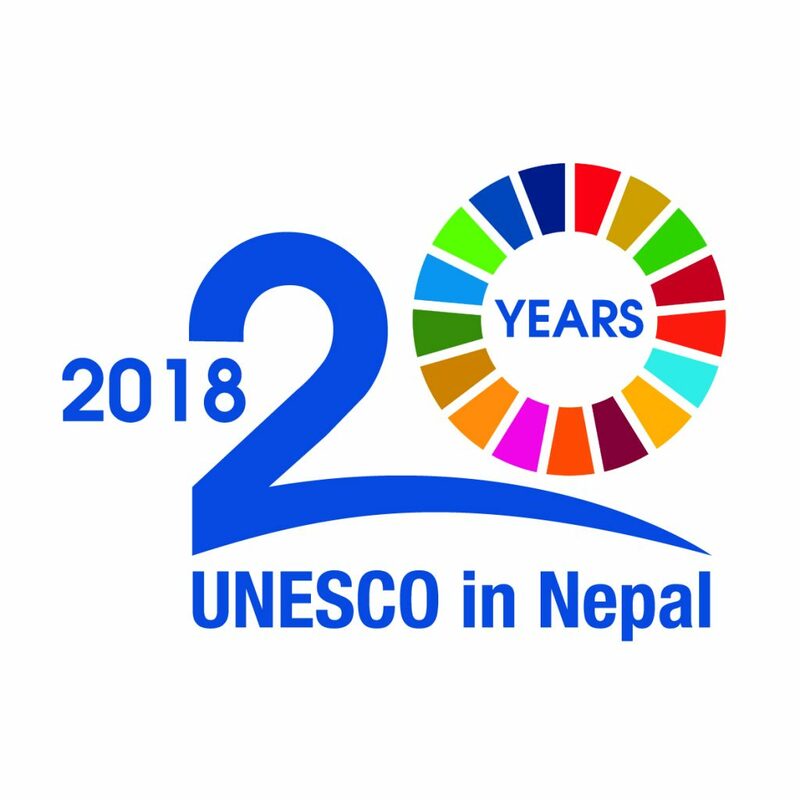 UNESCO would like to take this opportunity to thank all of its partners who have provided support over the last 20 years and it looks forward to continuingits supportto Nepal in the years to come.